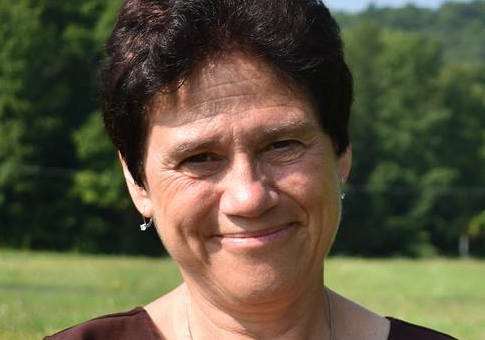 The Democratic candidate for New York's 23rd Congressional District admitted to dropping her support of a national gun registry at a campaign event in Seneca County earlier this month. "It is true that in Seneca Falls last spring I said in an emphatic moment we must register all guns and license all gun users," Mitrano told attendees at Seneca County SCOPE‘s "Meet the Candidates" event, video excerpts posted on YouTube show. "I walked away and went, ‘Oh my God, Tracy. What did you just do?' That is not my official position but because Mr. Weinstein records everything that I say, I would be a fool to deny it. But that is not my position. And, honestly, if you had to be held to every single thing you ever said in your life because you’re not accustomed to being filmed every time you step out into public I think you should allow for consideration and thought about it." Mitrano went on to say the Reed campaign was exaggerating her support for a national gun registry. "You said it's on my website," Mitrano said to Reed campaign manager Nicholas Weinstein during the event. "I'm telling you where you got it from is that event. It is not on my website because it is not my policy and it is not my platform." Archives of Mitrano's campaign website, however, reveal that until at least March 7, 2018, her stated position included support for a national gun registry. "First, we must expand background checks, closing loopholes that allow criminals and terrorists easy access to firearms and implementing a registration system similar to how we register and license drivers," the Second Amendment section on Mitrano's campaign website read. Additionally, Mitrano had publicly stated her support for a national gun registry at multiple voter forums. During a November 2017 forum, the Ithaca Times said Mitrano "likened her idea of gun licensing to that of vehicle registration." During a February 2018 forum, Mitrano again repeated her support for a national gun registry. "At the federal level, we have to have those background checks but let's start phasing in a system of licensing users and registering guns and we will get at the number one issue of why the problem exists. We will bring down number of available guns in our society overall," Mitrano said, according to the Ithaca Journal. Though support for a national gun registry does not currently appear on Mitrano's campaign website, she said she's still not sure if she could support a national gun registry in the future. "I do think that is a system we could get to," Mitrano told the attendees at the August 2018 SCOPE event. "I don't even know that I'm for or against it." The Reed campaign said Mitrano was trying to play politics by changing her position and accused her of lying to voters. "It's stunning that Tracy Mitrano would be willing to stand before a group of voters and just lie to them about her position on an issue," Abbey Daugherty, communications director at Tom Reed for Congress, told the Washington Free Beacon. "What you say at candidate forums and post on your website as your position is important. It is deeply troubling that Tracy Mitrano would say one thing to win votes in a primary, then change her website to hide it and lie when confronted." The National Republican Congressional Committee questioned Mitrano’s credibility over the ordeal. "Tracy Mitrano's epic flip-flop is exactly why people don't trust politicians," Chris Martin, regional press secretary for the committee, told the Free Beacon. The Tracy Mitrano campaign did not respond to a request for comment. This entry was posted in Issues and tagged 2018 Election, Gun Control, New York. Bookmark the permalink.